or maybe just a I love you card for your guy! 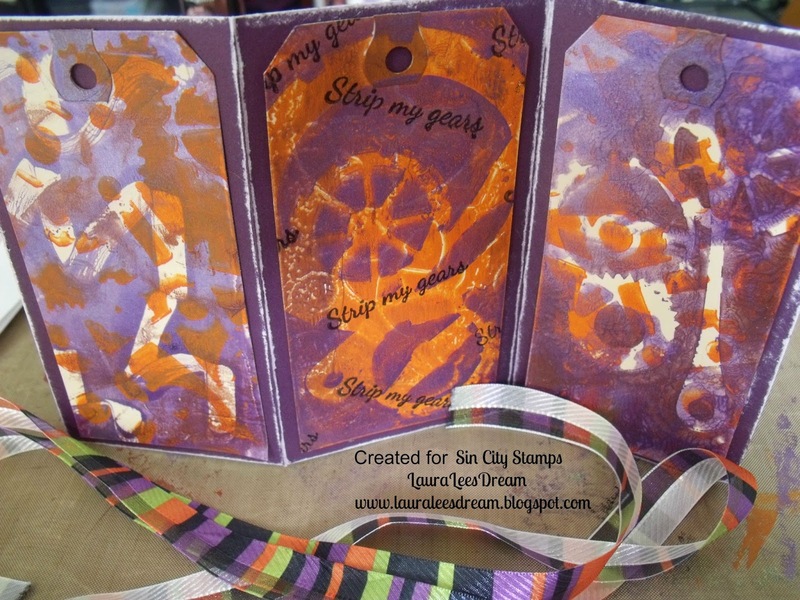 I have used a Gelli Plate for my card. 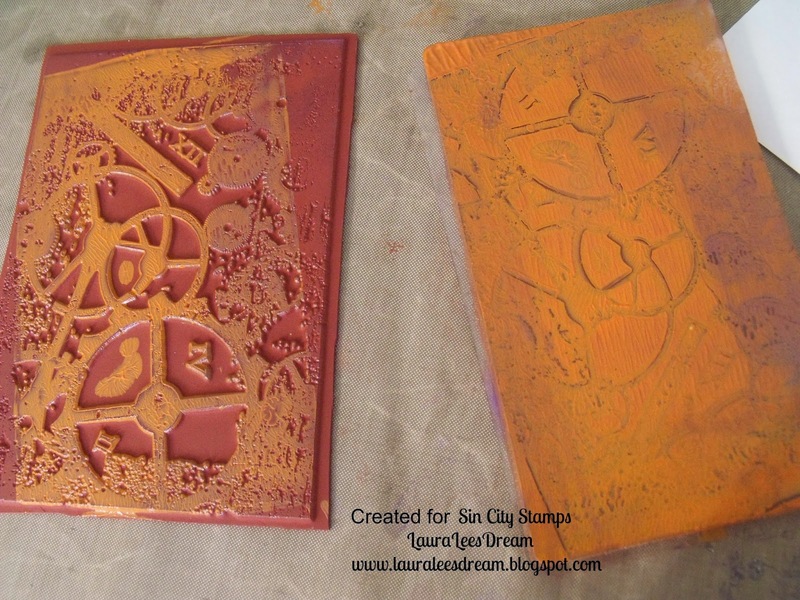 Gelli Arts are our sponsor this month at Sin City Stamps. 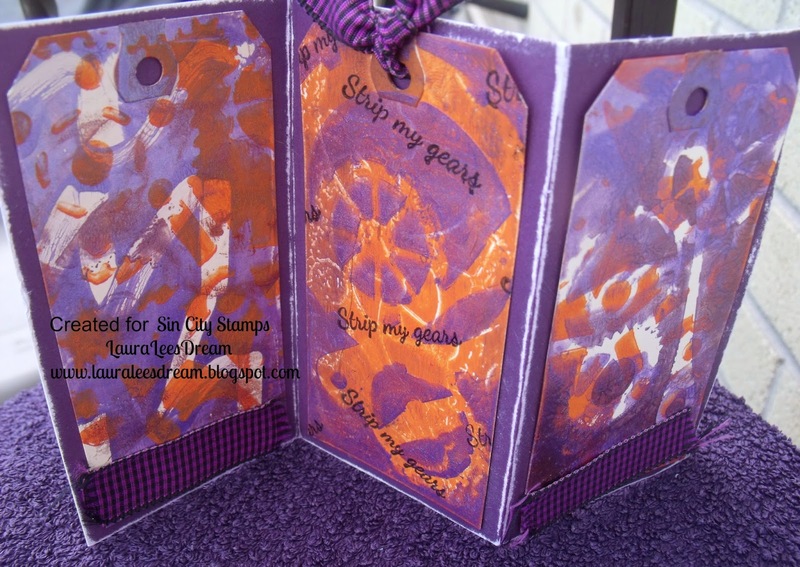 I have to tell you it has been an experience using the Gelli Plate. but I do love playing with it. You have to try it! It's fun (but messy) ..Did I say it was fun? Black Ink, ribbon and lots of copy paper. be on a porous surface. 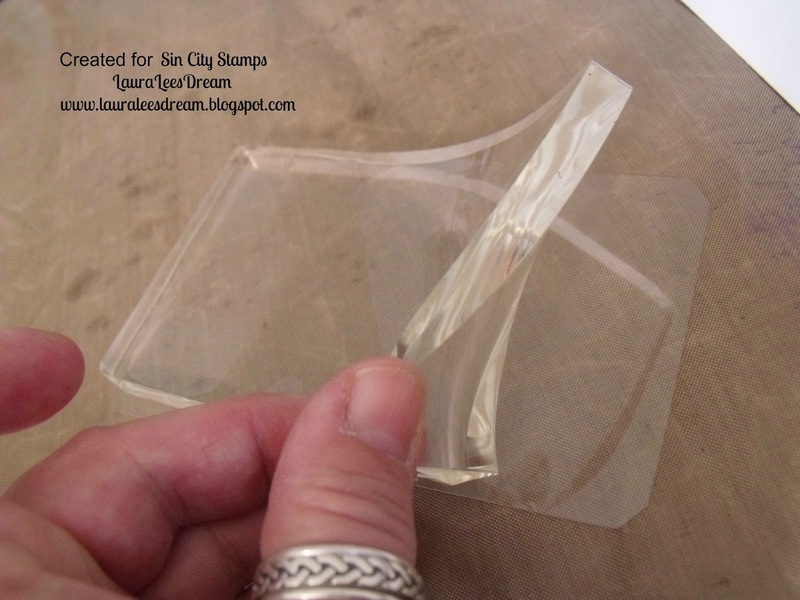 I left it on the bottom piece of plastic. I also put it on my TH craft sheet. 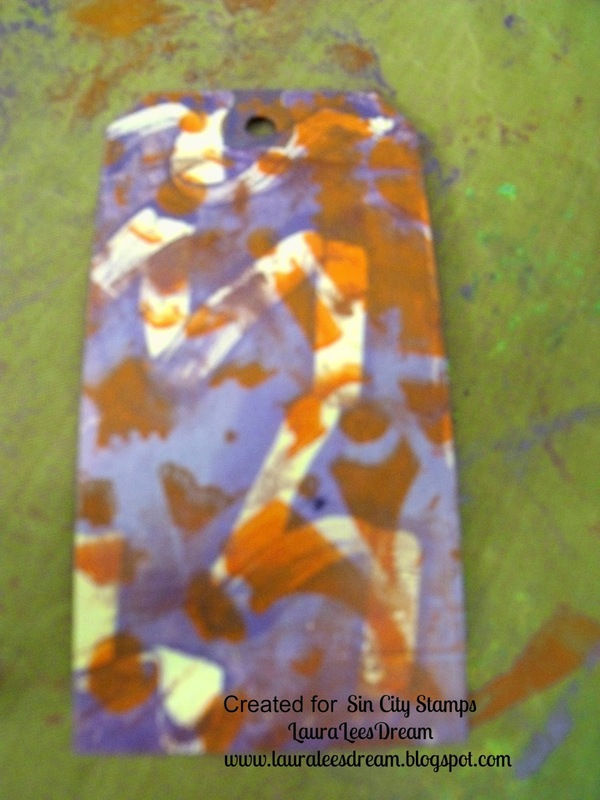 I put paint on the gelli plate then added the mask. I added the next colour and use some different masks. 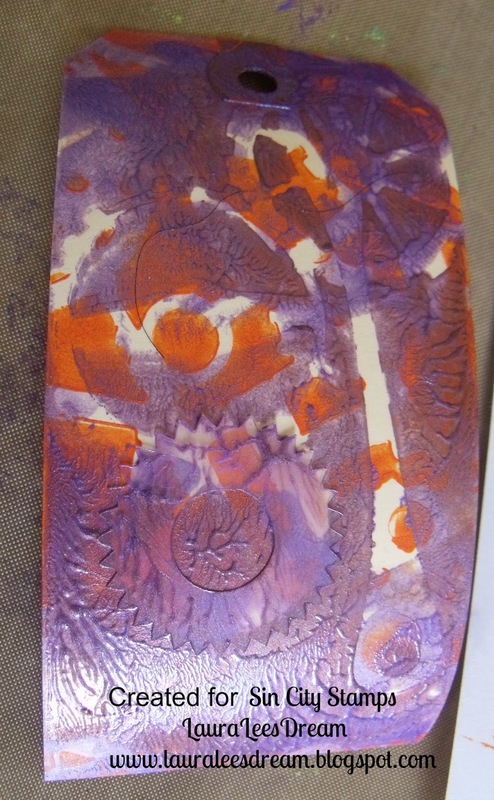 Here is the gelli plate with purple acrylic paint on it. just to press the tag down. 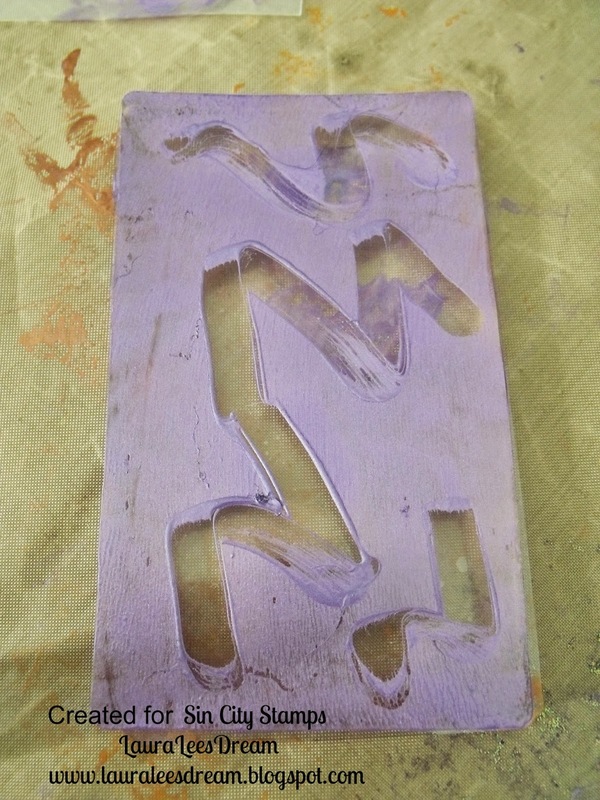 The purple paint was metallic ..
and I pressed the stamp on it. 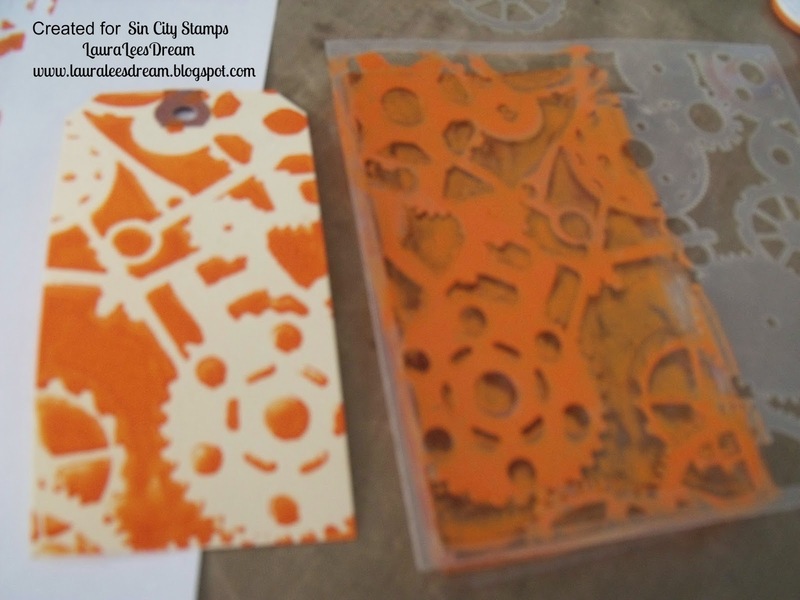 Isn't it cool how the gelli plate holds the stamp.. 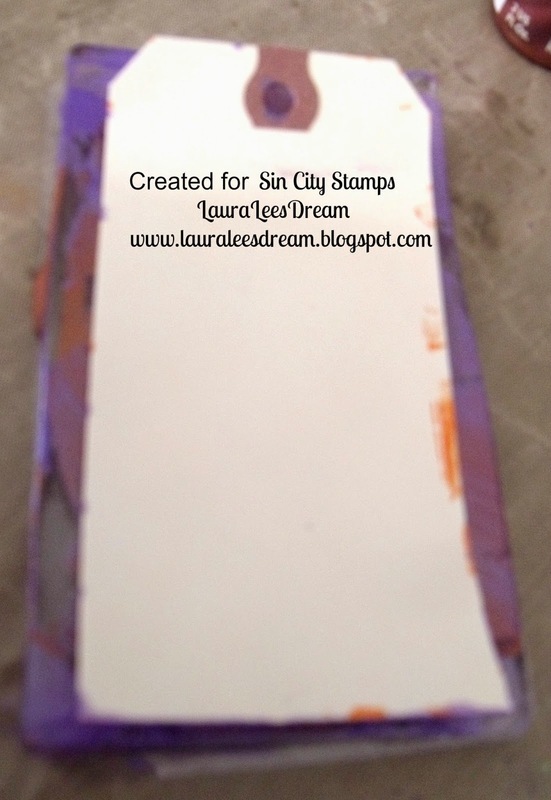 This is the next layer on the tag. 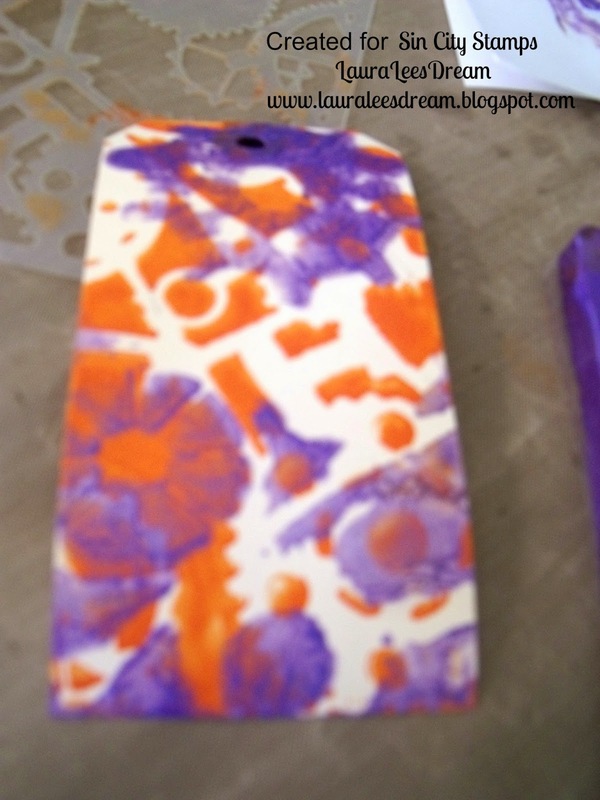 On this one I used my fingernail to make this pattern. 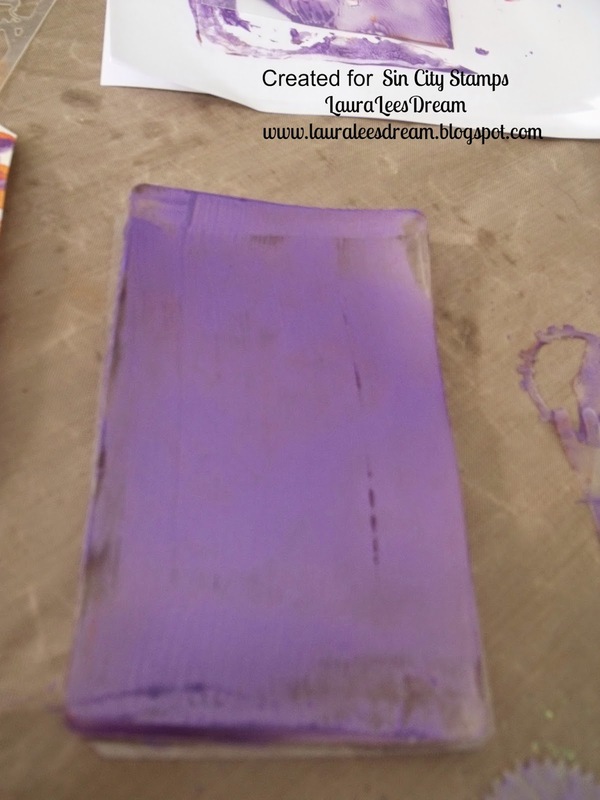 The next one is done with more masks layered over the purple. I liked the other ribbon better. 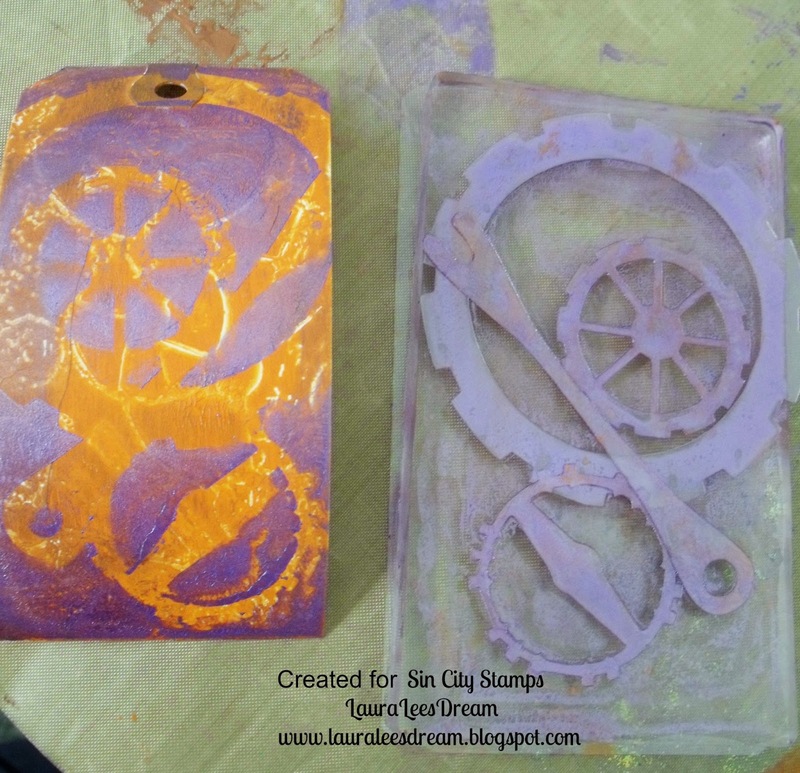 Also check out our fabulous sponsor..
Gelli Plates are a lot of fun to use, and I love all the layers on your card, Laura. 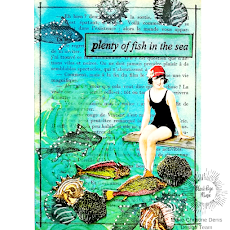 This accordion card is super cute and fun. The color combination looks amazing, and you created some very interesting backgrounds!